In about a year’s time, on 25 May 2018, a major new European law, the GDPR, comes into effect. 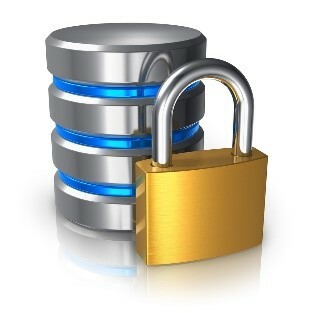 It will update current laws and set new requirements for handling personal data. The GDPR will replace country-specific current data protection laws and will impact any organization anywhere in the world that stores or manages data about people who live or work in Europe. With implementation of the GDPR just a year away, organisations need to prepare themselves now to implement it. This post explains how an online assessment management system like Questionmark can help your organization comply with the GDPR. We also invite you to a free webinar where you can learn more about how assessments can help you comply. What will be the fines for failing to comply with the GDPR? European regulators are suggesting that those who don’t comply will face large fines. The law itself says that fines can be up to €20 million or 4 percent of turnover (whichever is more). The Irish data commissioner has said that there will be no leeway or grace period, and that noncompliant firms will be heavily fined — this under a data protection regime generally considered to be more business-friendly than those in some other countries. Some European regulators are also preparing the ground by issuing high fines under existing data protection regulations. For example, the Italian Data Protection Authority has just issued an €11 million fine. What is the learning challenge for GDPR? The GDPR has specific requirements for training personnel and for monitoring the effectiveness of the training. In addition, most companies will be incentivized to train their employees to ensure that personnel understand the GDPR and their own company policies/procedures – since failing to follow the rules will make companies liable for fines. The GDPR legislation is 88 pages long and the rules are complex. Within most companies, many different departments will be responsible for handling and processing data: HR, IT, sales and marketing, technology and product development and more. All these departments will need to climb the learning curve to know and understand how the GDPR applies to them. Thus, a key part of the compliance challenge for GDPR will be ensuring that your personnel learn and understand the rules. Trustable, online assessments can help in many ways with GDPR compliance. They are the best way to help ensure your employees understand the rules and to reduce the likelihood of mistakes that lead to fines. Assessments are also the best way of providing evidence that you did train your personnel well. This evidence could mitigate the amount of a fine, in the event of a privacy misstep. 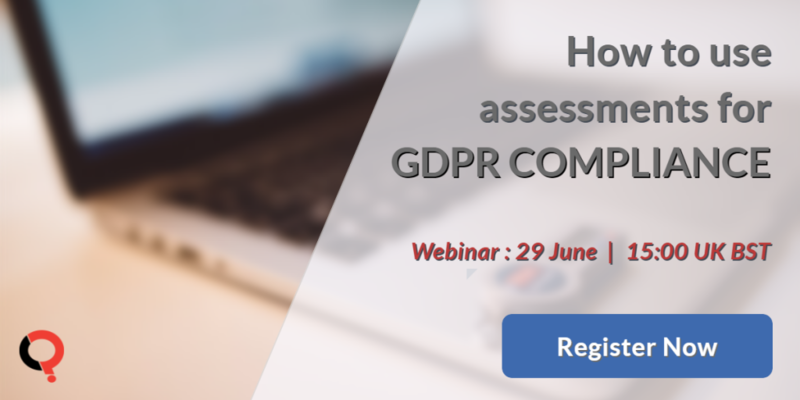 To help you understand more about how online assessments can help you meet your GDPR challenge, we invite you to a webinar presented by myself and Questionmark’s UK Marketing Manager, Chloe Mendonca on Thursday 29th June, 2017. We look forward to speaking to you at the webinar. Click here to register.